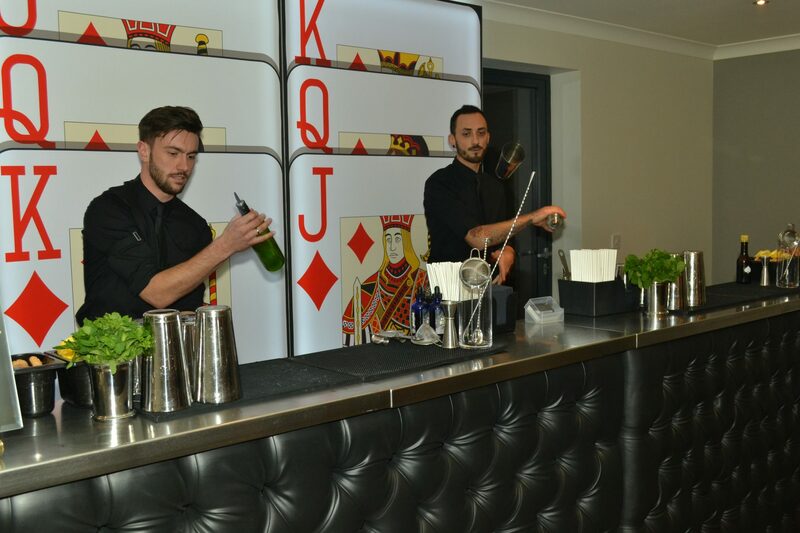 It was a very special 21st birthday party at a private residence in Solihull, featuring our Las Vegas themed mobile bar, ‘paparazzi’ photographers, flair bartenders and more. 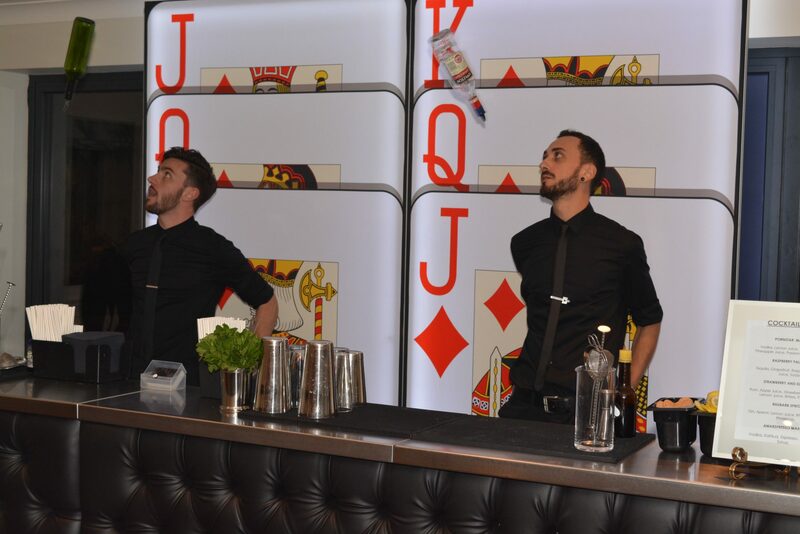 The Las Vegas mobile bar is a big favourite here at Ace Bar Events; it can feature our diamond playing cards backdrop or even an image of the Las Vegas strip such as for this Casino client. The black chesterfield effect on the front of the Las Vegas mobile bar adds that extra element of exclusive luxury. The black chesterfield mobile bar is part of our Classic Range and can be put together with a number of different backdrops and bar tops to create the perfect look or feel you require for your event. Have a go on our digital bar builder, the Ace Bar Configurator, where you can pick from some of our most popular options. This was certainly a 21st birthday party that the birthday boy will remember, with around 100 people in attendance and our themed photo service ‘papping’ the guests at the door. A good bit of fun, our ‘paparazzi’ service features a couple of photographers who come along to your event dressed head to toe in the traditional pap wear of the 20th century, taking cool and fun snaps of your guests as they arrive. 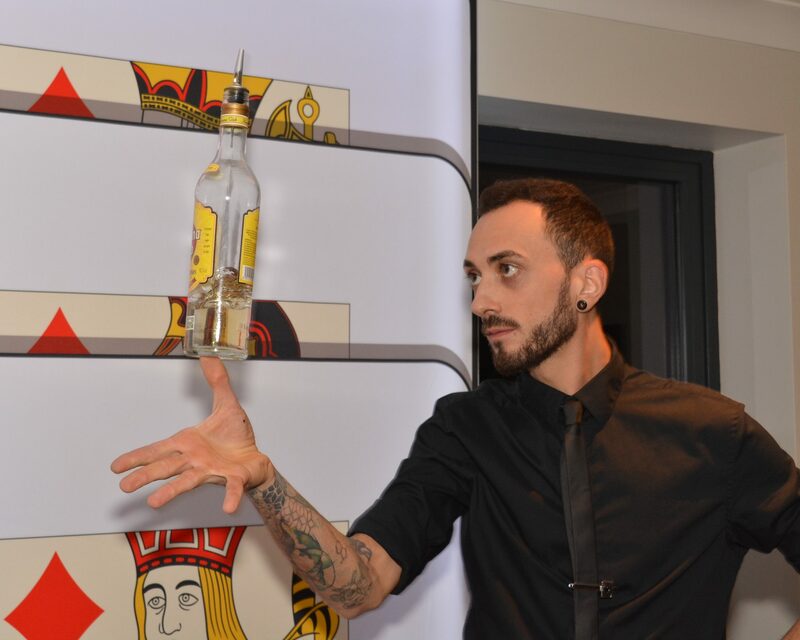 The Las Vegas themed mobile bar and two flair bartenders were the perfect amount to ensure each of the guests were served in an entertaining and timely manner. In addition to supplying our Las Vegas mobile bar and flair bartenders, we also provided all our bar support services – including bar backs to ensure the bar remains fully stocked as the bartenders do their thing, all glassware, drinks and extras. We like to agree on a plan of action for the drinks prior to the event, for this Las Vegas themed 21st birthday party it had to be cocktails of course. As one of the premier places for cocktails on the planet, the theme wouldn’t be complete without some Vegas style drinks. 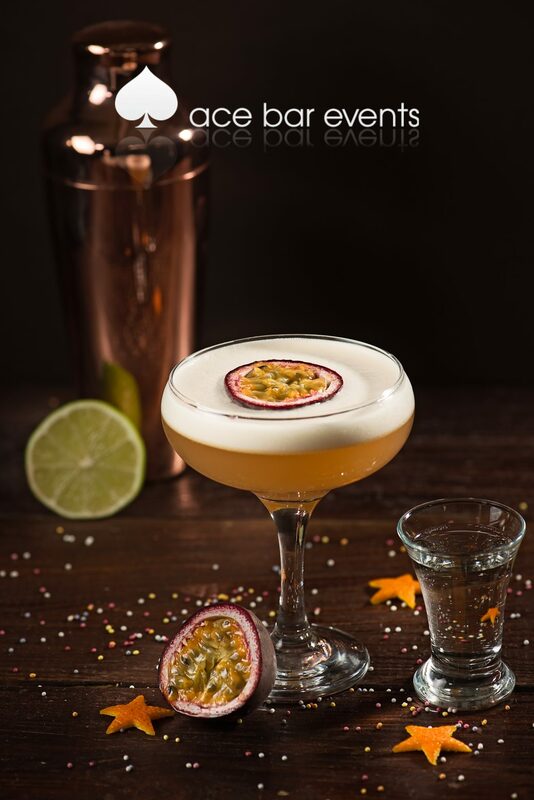 We have a wide range of original cocktail creations that you can choose from, as well as all the classics. This time around the choices were the classic Pornstar Martini, a Rhubarb Spritz, Raspberry Palomas, a Strawberry and Elder Tiki as well as our original Amarspresso Martini. If you are interested in our Las vegas mobile bar, Las Vegas themed mobile bar, flair bartenders or anything else – then please do not hesitate to drop us a line!